Use this circuit to strengthen your glutes for extra power to your pedals. 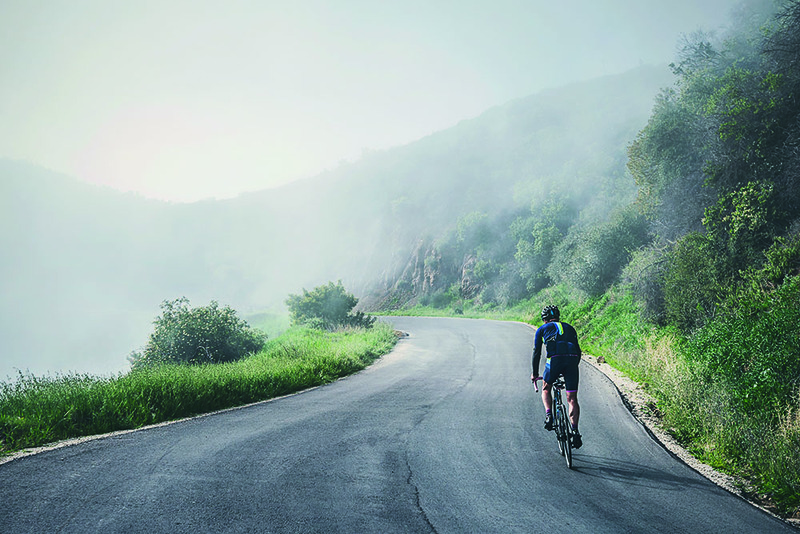 When it comes to becoming a faster climber or putting more power into your sprints, the work you do off the bike is just as important as the kilometres you put in. Kettlebell workouts are a great way to strength-train those glutes for when you’ll need to get out of the saddle. These three moves take only about five minutes each. While they focus on working your glutes, it’s also important to remember to keep your core engaged so you get the full effect. Try incorporating them into your training plan a couple times a week to start seeing some results on your next sprint or climb. Each of these moves can be done using a 6-12kg weight. 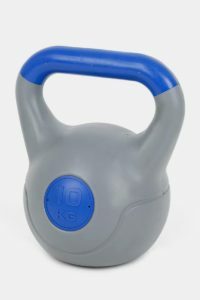 But when you first start training with kettlebells, getting the correct form down is crucial, so we recommend starting with a lighter weight until you have mastered the technique. This will ensure your getting the maximum benefits out of your workout without causing any injury. Do it: Stand with feet shoulder-width apart, toes pointed out, and knees slightly bent. Hold a kettlebell using a two-handed, overhand grip, arms extended straight down in front of you. Keeping a neutral back, bend your hips back until the kettlebell is between and behind your legs. Squeeze your glutes to extend your hips and swing the weight up. Allow the weight to swing back between your legs, bending hips and allowing knees to bend slightly. Extend hips and knees to swing weight back up to chest level. Repeat. 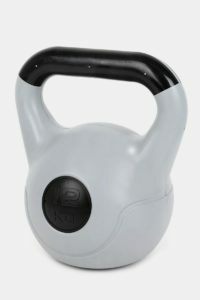 Do it: Grab a kettlebell by the handle and stand with your feet shoulder-width apart, toes turned out about 45 degrees. Squat down to place the kettlebell on the floor between your feet. Straighten legs and stand up, lifting the weight to chest height. 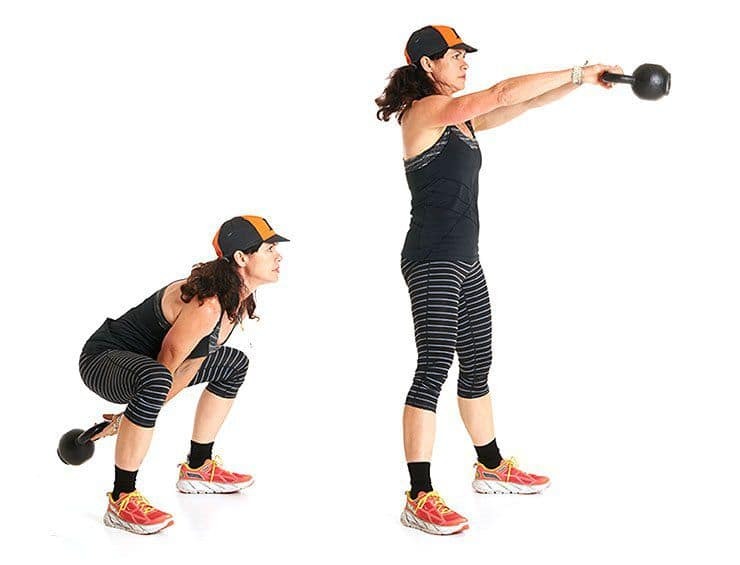 Grab the sides of the handle and push the kettlebell straight overhead. Lower it to your chest; grasp the top of the handle, and return to start. Repeat. Do it: Hold a kettlebell by the handle in your right hand and stand on your right leg, knee slightly bent. Bend at the hip, extending your left leg behind you. Lower the kettlebell until your torso is parallel to the floor. Return to start. Repeat for a full set and switch sides. Get started! 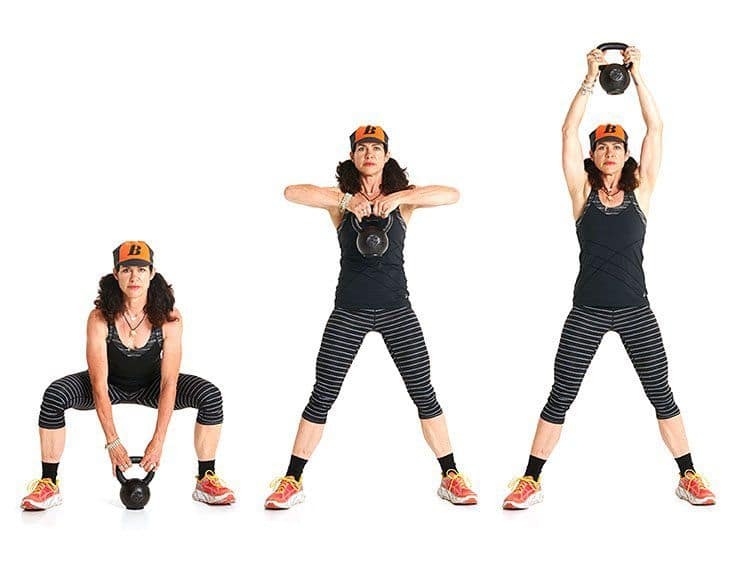 Here are some kettlebells to get you moving.